The second Tuesday of every month the Checotah Chamber of Commerce has its general membership meeting at the Methodist Fellowship Hall beginning at 12:00 Noon. We usually have a special guest speaker and information about the community, events and local clubs. 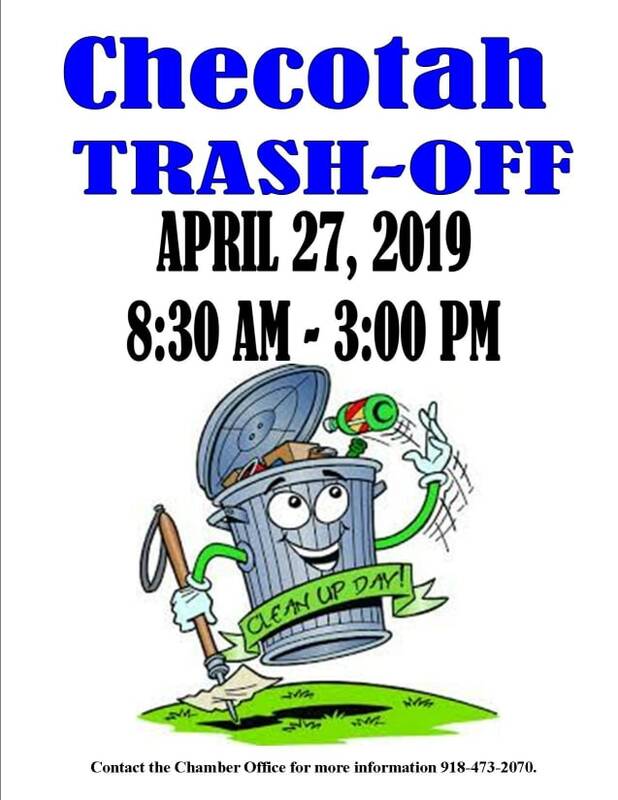 This is a fabulous opportunity to get out and meet other business owners and employees from Checotah. Networking and making friends is very important in life and in business - one should NEVER miss an opportunity! Lunch will be available for purchase from Charlie's Chicken if you would like to dine with us. ALSO, this is really important *just because it says the word "membership" it is not exclusive to members only,* this monthly meeting is open to the public, so feel free to bring a friend. If you need a little extra incentive, there is always a door prize drawing. We look forward to seeing you there!